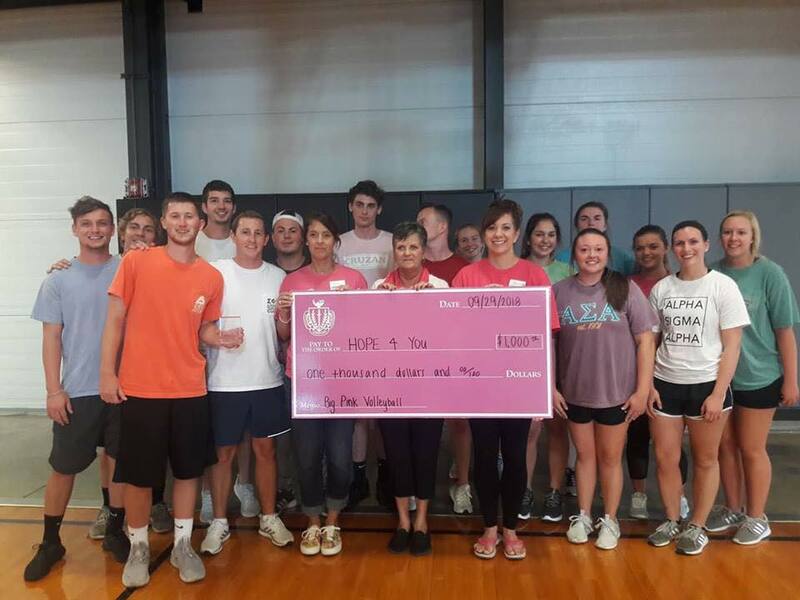 The Panhellenic Council at Pittsburg State University presented 3 HOPE 4 You Board Members with a $1,000 donation on Saturday, September 29th. The money was raised thorugh the Big Pink Volleyball tournament. We are extremely grateful for this generous donation and look forward to partnering with this PSU group again! Thank you, thank you, thank you!